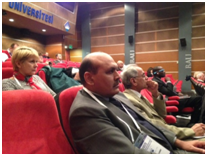 The International Organization for Science and Technology Education (IOSTE) organized “IOSTE Eurasia Regional Symposium & Brokerage Event Horizon 2020” on April 24-26, 2015 at Istanbul, Turkey for providing information about EU Horizon 2020 calls for proposals and bringing all stakeholders together to promote partnerships. The educationists, scientists and researchers from 30 countries around the world participated in this event. Inquiry Based Science Education (IBSE) was designated as priority area of working for the promotion of science in this 3-day event. PSF in collaboration with Embassy of France, Islamabad has implemented IBSE program in Pakistan and it is the Focal Organization for EU Research and Innovation Program Horizon-2020 in Pakistan. 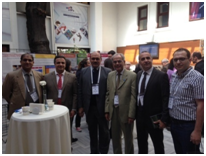 Prof. Dr. Muhammad Ashraf, Chairman PSF and Dr. Mirza Habib Ali, Focal Person of PSF for International Linkages visited Turkey and participated in the event to explore more opportunities of cooperation and coordination with Turkey and other EU countries in different disciplines of science. They exchanged views with the participants from other countries about the IBSE method for the teaching of science in other countries and its adoptability. Chairman PSF pledged to avail the opportunity to utilize the experience and knowledge of other countries’ educationists for the improvement of teaching method of science in Pakistan. They also tried to identify some partners to promote and support IBSE in Pakistan. 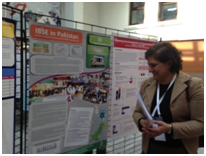 Abstracts of the PSF presentation on Inquiry Based Science Education (IBSE) in Poster Presentation form were accepted by the organizers. During the Symposium, Prof. Dr. Muhammad Ashraf and Dr. Mirza Habib Ali presented a paper on “IBSE in Pakistan: Issues in Implementation and Students’ Assessment” on April 24, 2015. The paper highlighted the low literacy rate and extremely low scientific manpower that need in-depth renewal of Education System in Pakistan by introducing new teaching methodologies with emphasis on IBSE. 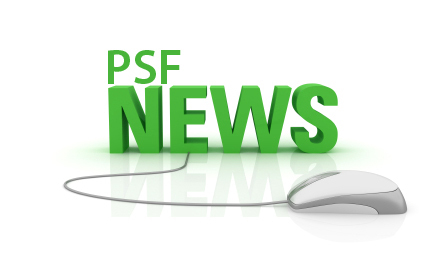 PSF has a strong Network with 15 Sub-Offices in various cities and towns of the country. Almost, all universities are on clientele list of PSF and running research projects funded by it. In addition, PSF has developed contacts with schools at grassroots level for developing science culture in the society. PSF and Academie des science France has signed MoU, mainly for conducting joint activities such as conferences and workshops on IBSE for promotion of science education. As a follow-up of the symposium in Turkey, PSF will organize an international seminar on IBSE in Pakistan. Scientists and educationists from England, Turkey and France will be invited to train educationists and scientists about IBSE proposals preparation in order to get funding available from Horizon – 2020 for IBSE.